Keeping up with the grandchildren! Once upon a time for the 13 million UK grandparents life was all about keeping up with the Jones’s, but now, with recent statistics showing that many spend three days or more a week looking after younger family members, it is often a case of trying to keep up with the grandchildren. When the toddler pressure is on and another trip to the park is beckoning – you look for any benefit you can and a blast of Boost Oxygen could be the difference between a junior meltdown and that fourth go on the swings! With the charity Grandparents Plus calling on the Government to give grandparents the same rights to flexible working as are now given to the parents of young children, it also highlights that the wider family is now taking a crucial role in child Care. 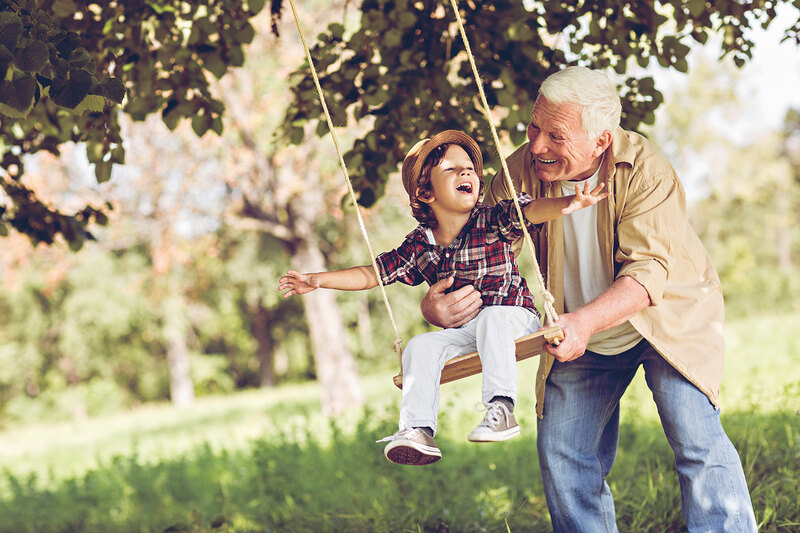 They refer to a ‘vast army’ of grandparents providing childcare, and these grandparents require support of all kinds to achieve their own work/life balance, and that can be from financial assistance to a sudden revitalising lift in their energy levels and alertness over a full day entertaining young children. Carers in their 50s or 60s are sometimes even squeezed from both ends of their family – not only providing childcare cover for grandchildren but also often for their own elderly parents. This puts the onus on what free time they have to enjoy their own leisure pursuits – with Boost Oxygen offering a simple and convenient route to being able to enjoy free time to the maximum!